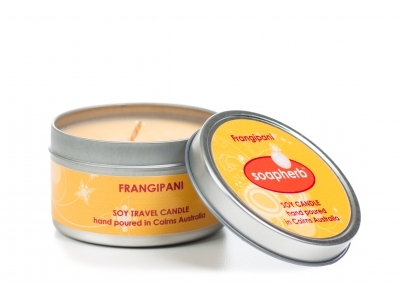 Natural soy wax Travel Tin candles are hand-poured into each individual travel tin. They are the perfect way to take your favourite fragrance everywhere you go. Use in your motel room, cabin or caravan to dispel musty or tobacco smells. They are protected, in a seamless, durable, light weight metal tin. If you happen to drop your travel tin it will dent but it won't smash like glass.